A new Netflix movie that will feature Hollywood superstar Angelina Jolie is going to be filmed in Cambodia. The film, which will not be shown in cinemas and will instead be available on the online streaming site Netflix, is called First They Killed My Father. The movie is based on writer Loung Ung’s memoir and will not only feature Angelina Jolie but also her adopted son. Those heading on Cambodia tours to Siem Reap could well see film crews and the actress herself as it has been announced that much of the filming will take place in the province. An article from the Phnom Penh Post has suggested that filming for the movie started in early November and could be finished by the end of January 2016. Some scenes will even be filmed in the temple ruins of Angkor Wat. Rice fields and river banks surrounding Angkor Wat are also set to feature heavily in the film as well as Cambodia’s second largest city, Battambang. The Cambodian-based film is expected to be good for tourism in the country and will be the first major movie to be filmed in the country since Tomb Raider was shot in the 2000s. The surrounding area around Angkor Wat is very rarely visited by holidaymakers, but this could be changed when the new movie is released. However, production crews are hoping to close some sections of the temple and nearby roads to allow filming at Angkor Wat to take place without any interruption from holidaymakers. This could see a limited number of holidaymakers being able to travel to the famous attraction, so it is recommended to check local information before travelling. The movie will show what life was like for one family during the brutal Khmer Rouge regime and will cover a number of tragic events that took place during this time. 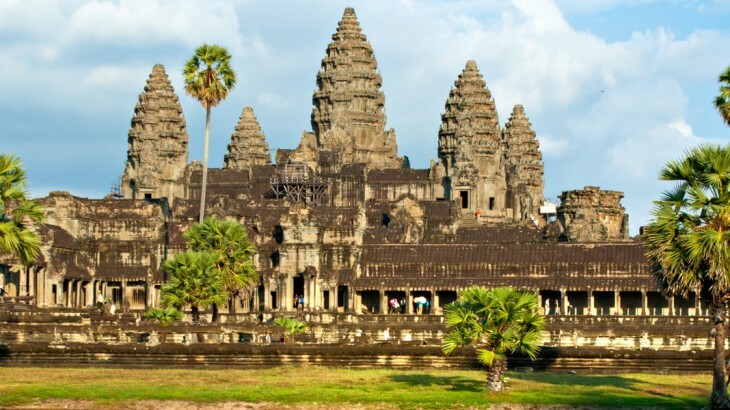 Book a Cambodia Holiday, with the UK’s leading Asia Experts, Wendy Wu Tours. Our award winning escorted, fully inclusive tours visit all the major sights of Cambodia for an unforgettable holiday. Cambodia cambodia news, media, tourism. permalink.